In these horrible days, GOOD music is so hard to find. I'm pretty sure I've said this before but I have this on repeat as I get ready for work, clean, cook & chill. It's so relaxing, similar to a REAL Thunderstorm. 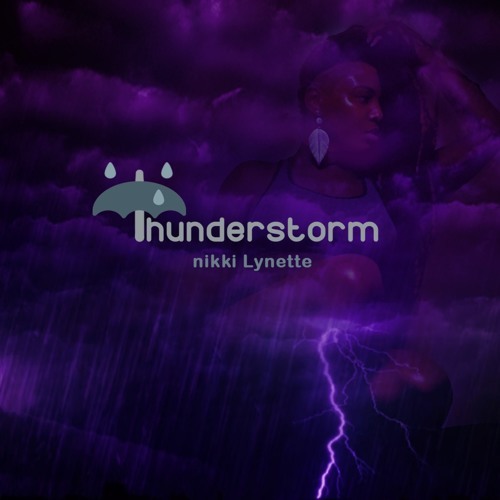 When all the problems of the world (1) quickly hit me like a bolt (2) fall upon me (3) startle me (4) flood my safe space & I'm left with a disaster to clean up, it's nice to know I can listen to Nikki Lynette's music to calm me. Like-minded individuals should ALL have the same protective barriers. i am really feeling this!